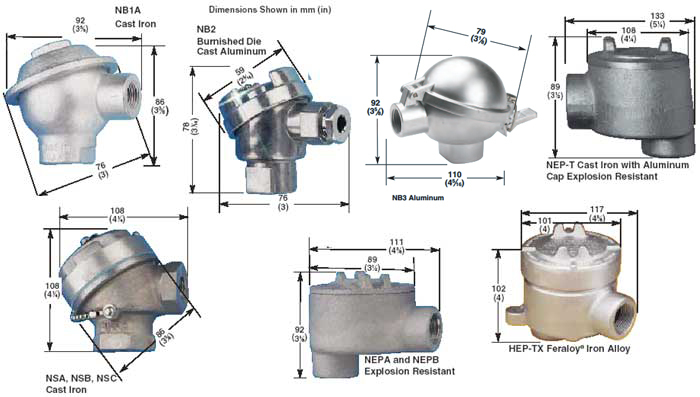 OMEGA offers a wide range of thermocouple heads from cast iron to Feraloy Iron Alloy. Material Type Model No. Terminals Wt. 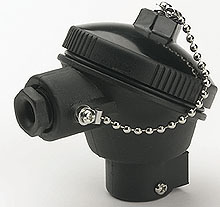 Note: NEMA 4X rated Heads Available. Please consult our Technical Quotations Department. Nota: Barrier strips are utilized when more than four connections are required. e.g. : dual element 3-wire RTD. Transmitter may be mounted in most heads. Transmitter may not be mounted in NB4 and only the smallest transmitters can fit the NB2 head by special order. Check transmitter dimensions identified by individual product specifications as well as the internal dimensions for the head.